I love wearing classics, but I also love trying quirky pieces and new trends for fun. This adorable fruit-printed skort was a fun piece to wear this past spring in Spain and a unique piece to sport around this summer. An anchor print sweater, a full red skirt, sandals and curled hair - I was feeling very "americana' after my 4 months in Europe. Maybe not the most practical for a picnic at the lake, but it felt great to dress up for a date. Another classic look - I picked out this outfit after a day of watching nothing but Audrey Hepburn films. I can't resist t-strap heels and a pretty dress sometimes. 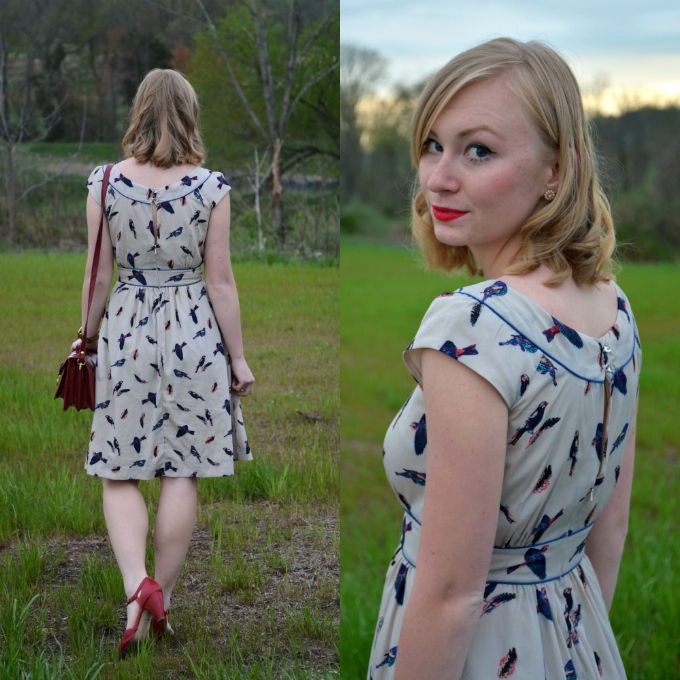 Plus, the bird print is such a fun addition. This year in particular I've been having a slight addiction to rompers and jumpsuit. They are both so practical and easy to accessorize! I wore this during that awkward "indian summer" time where you don't really know whether it's summer or fall. I love fall colors. I love fall. I love stripes. I love OTK boots. Therefore, this was one of my favorite outfits of the year. This wrap skirt is super versatile with all of the colors that are included. Gingham is one of my favorite patterns! I was taking a few queues from T. Swift with the porkpie hat and platform sandals. This is a dress I need to get more use out this season by adding sweaters and tights. So much Fall! This was such a fun day at the apple orchard with Derek. I felt perfectly festive in a cape and an acorn-printed top. Booties and layering with a sweater added more fall vibes. Simple but one of my favorites. High-waisted pants are my favorite fit and I love adding the height with my platform sandals. 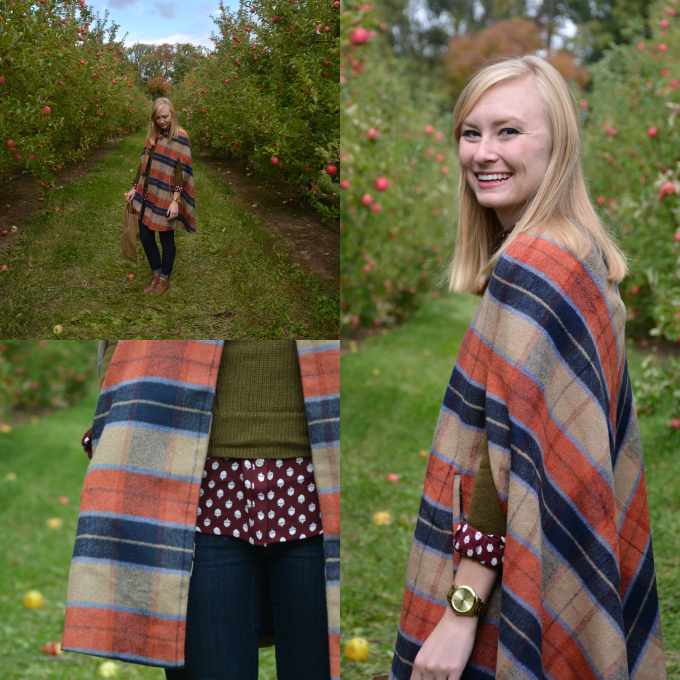 The mockneck was also a great transition from indian summer into fall. 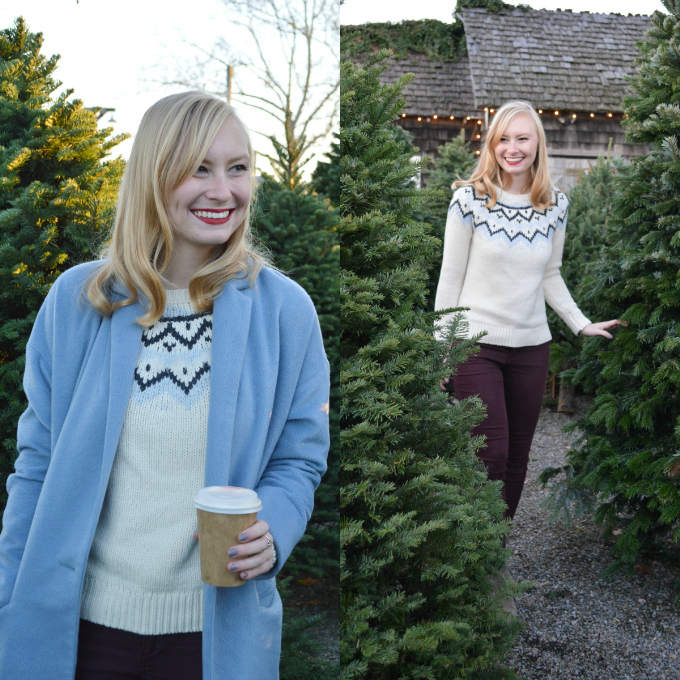 I think this may be one of my favorite looks from the year because I'm a sucker for Christmas-y sweaters! Wearing maroon pants instead of regular jeans switches up a casual look. Plaid. Booties. Hat. Coffee. 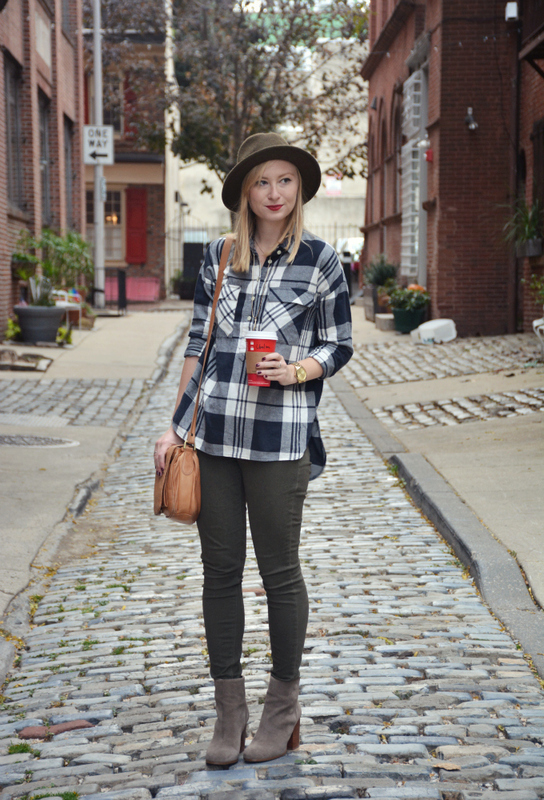 These are a few of my favorite things...casual but this outfit included so many of my favorite pieces! Different than my usual day-to-day outfits but it was fun to wear a graphic tee with a big skirt! Even on a rainy Christmas Eve day. Simple but chic. 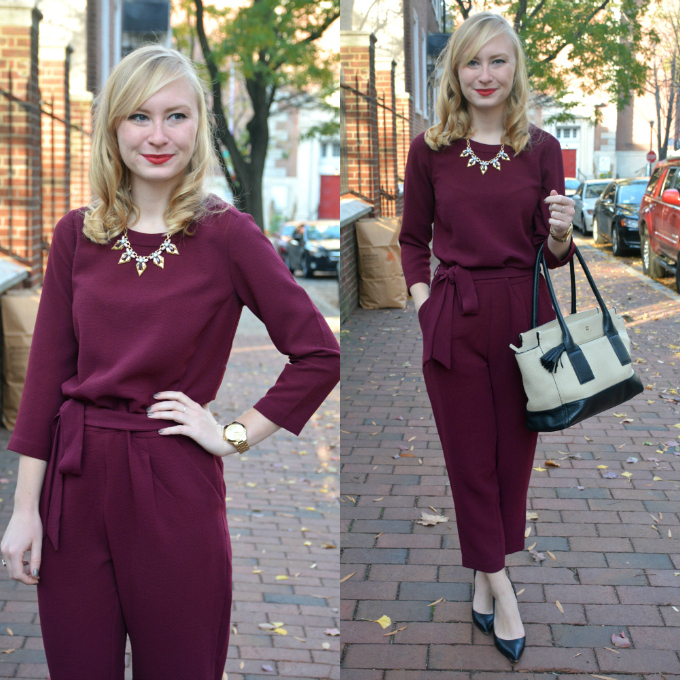 Cranberry red is one of my favorite colors to wear and I felt dressed up but comfortable in this. And being comfortable makes for being a lot more confident. Plus, my Kate Spade is throw in there and I love my Kate Spade! Next week look for my top 12 favorite places that I travelled to this year! In the meantime, here's my top 12 outfits from 2014. Have a happy new year everybody! I can see why these are your top picks! They are all so beautiful! I love the skirt in the first picture! The colors are amazing! Love your style, it's always interesting to see any style development. You kinda remind of Taylor Swift a little! Great post! You spent your 2015 definitely in style, what a wonderful looks.